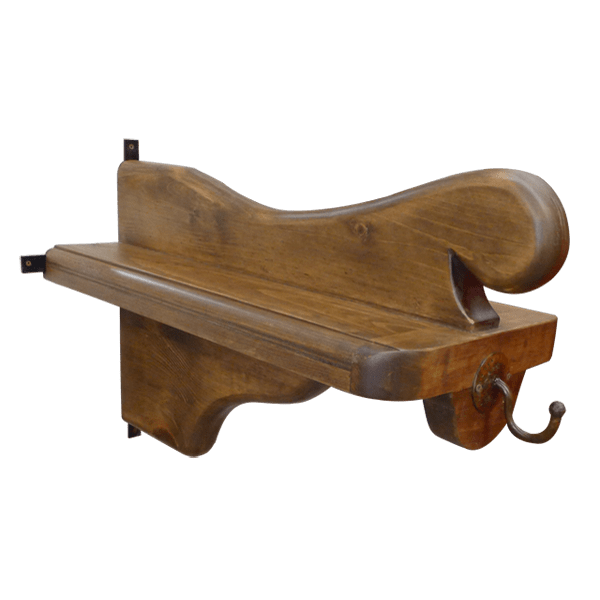 Our handcrafted tack room saddle rack will give your saddle the same support as our other saddle stands. 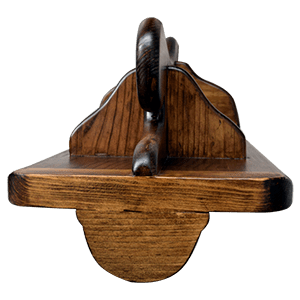 Rather than resting on side panels or a pedestal, the base of our tack room saddle rack is attached directly to a wall or to a post. Whether in your living room or in your tack room, you saddle will be proudly supported and displayed. We can personalize your saddle rack with your initials or with your ranch brand. 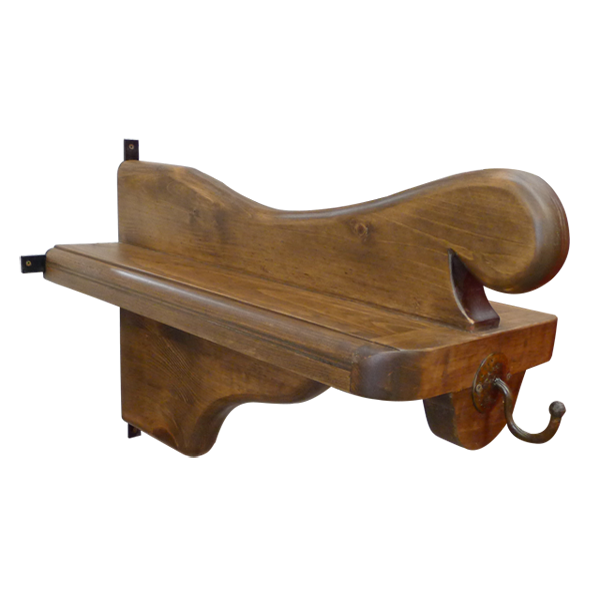 Like all of our saddle stands, this saddle stand is designed to resemble a horse’s backbone. It does not matter how big your saddle is, it will sit perfectly on the saddle stand, and the saddle will not roll off. Made from solid timber, the saddle stand is guaranteed for life. It is 100% customizable.